Rocking & captivating,.... Sgt. 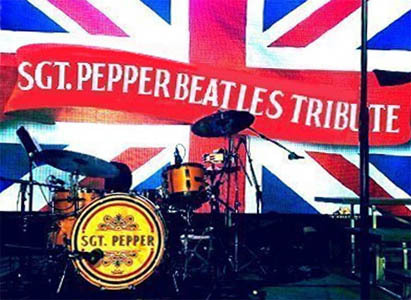 Pepper performs music by the Beatles and other British Invasion artists at festivals, concerts in the park, charity fundraisers, corporate events, wedding receptions & night clubs. Although Sgt. Pepper focuses on Beatles and other British rock & roll, they also perform many other classic rock, soul & country tunes, as well as standards and bossa nova music for cocktail hour. Sgt Pepper’s members are well-known L.A. based musicians and singers who have performed with major recording artists, leading music agencies and/or other bands. They came together to form Sgt. Pepper out of a mutual love of Beatles’ music. Tom has been a professional musician his entire adult life. A veteran of over 6,000 live performances and recording sessions worldwide, he has participated in just about every musical situation imaginable. From the concert stage with Edgar Winter, Mark Lindsay, Jan and Dean, Mitch Ryder, and Tom’s own band The Gurus, to television (Bones and Glee), to intimate private jam sessions with a variety of artists (Tom Jones, Pete Seeger, Joe Walsh, and Steven Spielberg! ), Tom has enjoyed a diverse performing career, to say the least! Tom also maintains a successful teacher/author career. An instructor at the world famous Musicians Institute since 1989, he is also the author of several popular guitar instructional books and countless magazine articles. Tom is also the featured artist in a wide assortment of guitar instructional videos, available both in DVD form and downloadable on the web. Lynn plays drums and sings lead and background vocals. Lynn was born in New Orleans, LA, and came to California by way of Jackson, MS, and Memphis, TN. He has recorded or toured with Leon Russell, Paul Butterfield, Dan Peek of ‘America’, Carole King, Helen Reddy, Johnny Rivers and Rita Coolidge. He has also performed with Mary Wells, Peter Noone (Herman’s Hermits) the Drifters, the Coasters, Bo Diddley, Little Anthony, the Shirelles, and the Marvellettes. Growing up, Lynn was not a fan of Beatles music. Instead, he was enamored of “soul” music, which better suited his gravelly voice and ability to belt out tunes. After joining Sgt Pepper, he experience an epiphany. Playing Beatles’ songs live turned him on to the appeal and power of the music. And Lynn’s ability to “belt” comes in handy on Beatles’ tunes such as “I’m Down” and “Oh Darling.” Skins may be the oldest member of Sgt. Pepper… but he is the youngest as an admirer of all things Beatles. His energy on stage is felt by all. After enrolling at the University of Southern California, he studied piano and gave his first performance on that instrument during USC’s Songfest at the Greek Theater. At the end of his senior year, he formed the rock band “Home Cooking” which enjoyed modest popularity at several southland Universities. 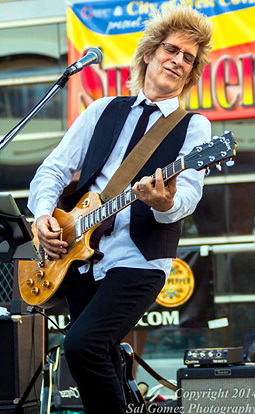 After graduating from law school and passing the California and Nevada bar exams, Dennis formed Tom Thumb & the Hitchikers in 1984. That eleven-piece band is still going strong and is a SoCal favorite of many corporations, charities, private social clubs, country clubs, private schools and wedding planners. In 2003, Dennis started forming Sgt. 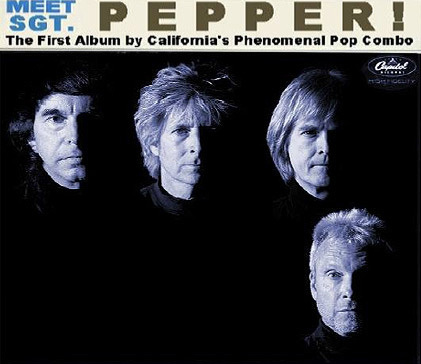 Pepper as a tribute to the Beatles and other British invasion artists. His first call was to Tom Kolb, a friend of 40 years. He also enlisted Randel Kirsch, who had to bow out when he was asked to join the Beach Boys band. Dennis is passionate about Sgt. Pepper. Dennis lives on a small ranch in upper Ojai, Ca with a horse, two dogs and “too many cats.” He is a partner in the Ventura, CA based law firm of Myers, Widders, Gibson, Jones & Feingold, L.L.P. He was named a Southern California “Super Lawyer” eight of the last nine years. Bill plays guitar and sings lead and background vocals in Sgt. Pepper. Bill’s earliest musical influence was being a member of All Saints Episcopal Boys Choir from ages 11 to 13. Led by world renowned Choirmaster/Organist Jack Nobel White, they studied at the Royal School of Church Music in Berkeley and while on tour, performed at Disneyland, Air Force Academy, and Grace Cathedral in San Francisco, providing Bill with invaluable voice and ear training. Bill turned professional in 1974 with a group from Texas called Cahoots. During the ten years together, Cahoots played gigs from Hawaii to New York City and the five-state area around Texas until relocating to Malibu, California. There Bill learned studio engineering and did session work on guitar and vocals for his band and other studio clients including Daniel Moore (My Maria, Shambala), who took Bill under his wing and taught him studio production. From 1980 till the present, Bill has been a full time musician, playing Country, Rock, Oldies, Cajun/Zydeco and casuals. His band spent three years as the House Band for the Disneyland Hotel’s “Neon Cactus” and performed for local and international crowds. His country band, “Fort Worth West” released their debut CD on DJM Records and can be found on the Internet and record stores nationally. Fort Worth West was awarded the 1999 European Country Music Association’s BAND OF THE YEAR, and two years previous Bill won “Lead Guitar Player of the Year” from the California Country Music Assn. In 2006 a new and challenging opportunity came Bill’s way. He was invited to play the “Dickie Betts” role in Southbound, a stunning tribute band celebrating the music of the Allman Brothers. To learn more about Bill Horn, CLICK HERE. 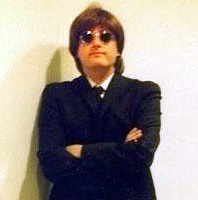 David was a cast member of the Broadway musical Beatlemania, in which he portrayed John Lennon. 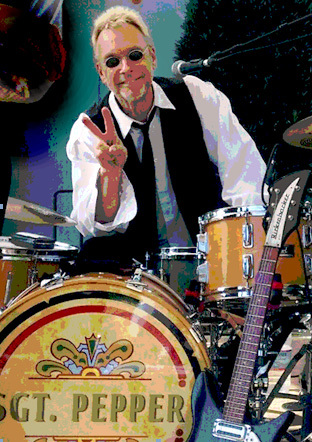 He has performed with a number of Beatles tribute bands since then, as well as with The Rembrandts and with such 1960's legends as Mitch Ryder, Tiny Tim, The Three Dog Night, Badfinger, Herman's Hermits, and Dion. Peter is a full time paramedic and a part time John Lennon impersonator. Peter plays guitar, bass, drums, percussion, and piano. The Beatles continue to inspire him musically to this day and he has had the pleasure of meeting Paul McCartney who told him after discussing the show "Well, you certainly have the look!" 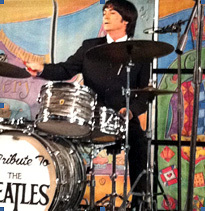 Peter also had the rare opportunity to perform in Florida with Pete Best (former Beatle drummer, prior to Ringo). Peter continues to write and record original music and he is currently working on perfecting the sitar. 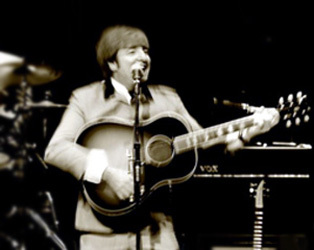 Bobby is another alum of the Broadway musical Beatlemania, where he portrayed Ringo Starr. He was also a founding member of Rain. 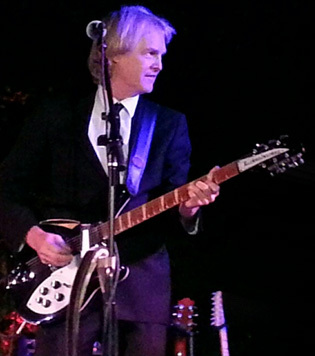 He currently portrays Ringo in a long-running show at the Saxe Theater in Las Vegas. Bobby also plays piano and guitar and has recorded an album of mostly original music. 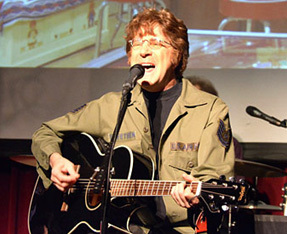 Howard also portrays John Lennon in his own band, the Mockers, as well as many other Beatles tribute bands, including the Mop Tops, A Hard Days Night and Number 9. 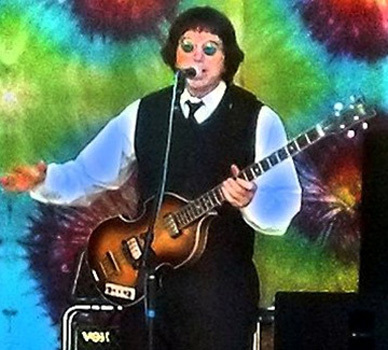 His impersonations are not limited to John Lennon, as he also performs in the Pink Floyd Experience.